You know you’re fulfilling your destiny when money doesn’t matter. Now don’t misunderstand me, when you dial into your true gift, you’ll probably be more successful than you ever imagined. This may be money, power, prestige, happiness, and/or contentedness. When you find your life’s purpose, it means you have dialed into the gifts freely given to you and have decided to invest them in the lives of others. This universal principle is rewarded infinitely and in many different ways. It depends on what’s important to you. Before my current position, I always had great jobs. But when a better opportunity came along I was off to a new one. During my first year at Tremendous Life Books, I still did some freelance consulting work. I received the best job offer package I had ever gotten in my whole life and was happy to turn it down to pursue running a legacy business full time. You see, I had found where I was supposed to be and no amount of money could make me turn to something else. Similarly, there were jobs where I had bosses who were so miserable no amount of money could make me stay there one more day. You know you’re fulfilling your destiny when nothing stops you from getting your message out there. Being a publisher, I am contacted by all sorts of aspiring authors. One individual set up a meeting with me to discuss his bestseller. When I asked for a copy of the manuscript he declared that it hadn’t yet been written. When I asked if he had a blog I could begin reviewing to get an idea of his message, content, and style, he exclaimed, “Don’t take this the wrong way, but blogging is beneath me.” I guess I was there to thank him for even considering talking to me about his future masterpiece…I’m still not sure. People have this weird perception that if they publish it, people will buy. Nothing could be further from the truth. It takes years and years of knocking on doors, hitting the pavement, even giving it away. After all, if Christ’s Great Commission in the Bible was to share the Word of God (a free gift of eternal life with all your sins forgiven) what makes you think your message will be any more freely received and will change the world? I received an email from a gentleman who heard my father speak years ago at a Youth for Christ rally. He commented that my father drove all the way from Harrisburg, Pennsylvania to Schenectady, New York and was given a $100 honorarium as a gift. He remembered how thrilled my father was. This is proof positive that when you are in the zone, it’s all about planting seeds, not reaping rewards. You know you’re fulfilling your destiny when nothing else matters. It makes me sad when I hear people say they’ve retired from working or they have to take several vacations a year just to get away from it all. That’s a true indication they’re not dialed into their purpose. You can never retire from your purpose until you’re dead. That’s the way life works. So if you’re breathing, you’ve still got a job to do. This single-mindedness will get you through a myriad of difficulties from the loss of friends and family who don’t support your work, to the myriad of naysayers claiming it can’t be done. When my father first started out in life-insurance sales, he was told by one of his managers that he should get a boat. He did. Only problem was it brought him no enjoyment. While he was out on his boat, he wondered who was on dry land gobbling up all his prospects and clients. When people told him he worked too hard and needed to get away from it all he exclaimed, “Away from it all! I’m trying to get into it all! !” Here was a man who had obviously found his purpose in life. I haven’t had a “true” vacation since 1995. At least if I have a nervous breakdown they’ll find me with a smile on my face! So can you live a great life if you haven’t found your purpose? Sure, but it won’t be everything that it could be. I didn’t really know what my life purpose was until I was 46, much older than my father was when he discovered his. 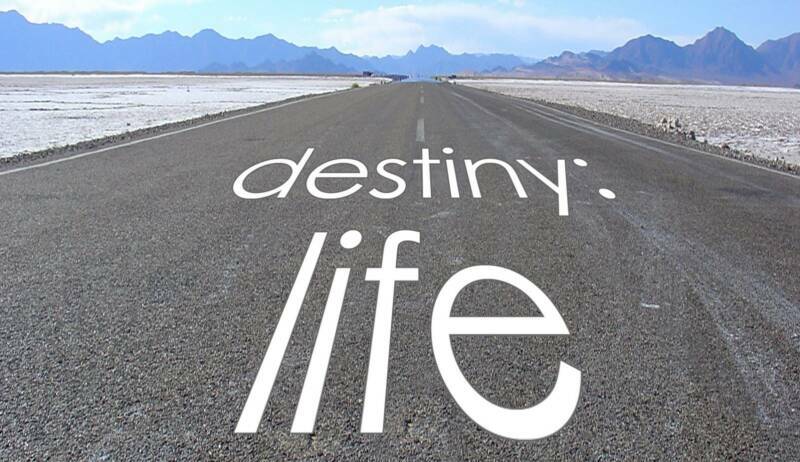 He found his life path out of necessity, i.e., making a living, while I found mine while exploring life’s various paths. I may not have known exactly what I should be doing, but with each experience I got closer to discovering it. It’s lonely living life on your own terms; few people do. We’re kind of an endangered species, especially in today’s world of collective consciousness, guilt, and debt. But it’s a glorious existence and one you won’t cease to pursue and claim once you take the first step. As my father said, “When you are doing what you know you ought to do and WHY—there is no price to pay.” So what are you waiting for? The universe is watching to see what you’ll do with all the gifts you’ve got inside of you!